Comments: There are a number of series of verbena and each generally has several colors, some have more disease resistants, and they vary in size and vigor of plants. 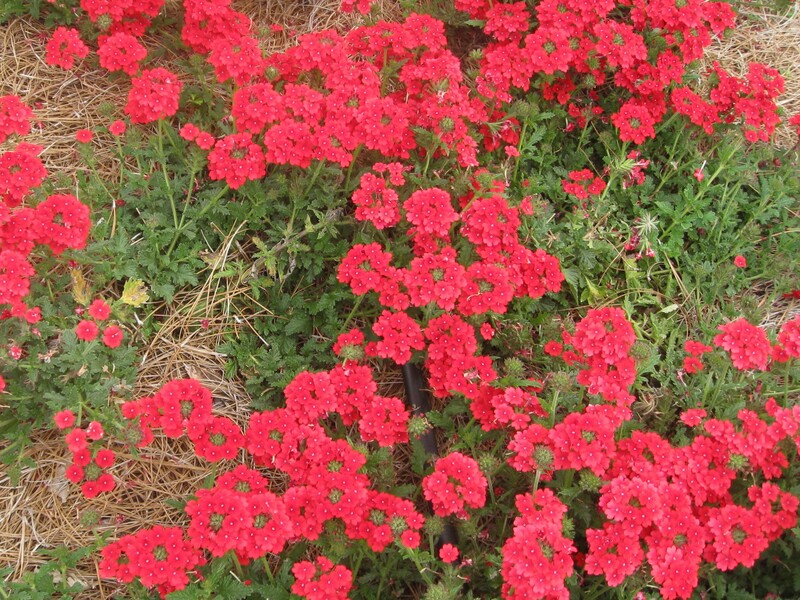 This selection of verbena produces red flowers. The red variety in this series is outstanding. Verbenas perform well in raised planters and hanging baskets where the long runners can hang over the edges of the containers. Verbenas bloom over a long period.